Bridging the civilian-military divide is the concern of a student group on the University of Delaware campus. 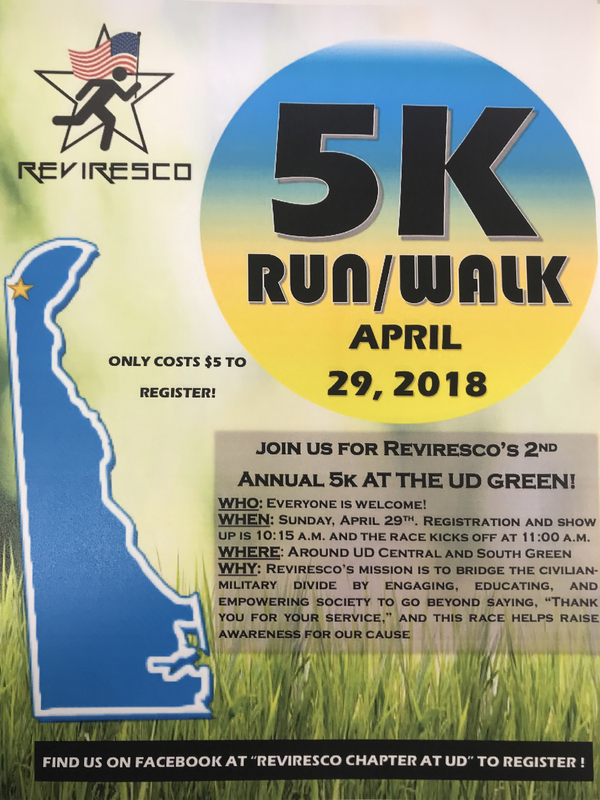 The group, Reviresco, will be holding its second annual 5K Run/Walk at the UD Green on Sunday, April 29. Day-of registration begins at 10:15 a.m., and the race—around UD’s Central and South Green—will start at 11 a.m. The best part about this race is the price—only $5! You can also register via the group’s Facebook page (click on the image for a larger view). 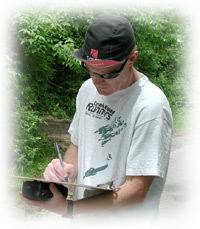 This event information is brought to you courtesy of CRR Bill Rose.